HOW DO YOU RECOVER AFTER A BREAK UP? How do you Move on? How do you let go? How do you reclaim your life and happiness? What do you do when the pain is so bad you feel stuck unable to move forward, unable to let go, unable to focus and unable to feel the happiness and joy you once felt? Break ups can be one of the most painful experiences we can go through. It is not just an emotional experience for many but one that is also physical, psychological, financial, and spiritual aswell. The end of a relationship can bring you to your knees and have you experiencing feelings of utter pain and despair, much like the experience of grief. Symptoms such as a loss of appetite, fatigue, anxiety, depression, anger and many more can make it really difficult to enjoy life after a break up and for many this pain can continue for months if not years after a break up. The pain of a break up can leave you feeling lonely, depressed, angry, hurt maybe even anxious and confused. Below I have listed 10 things you can do to help you through a break up. 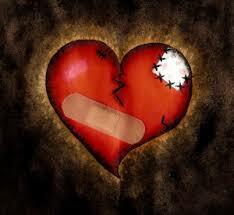 If you would like more advice on how to heal your broken heart or some further information on how I may be able to help you then click on the link below and schedule a time to speak with me. This is a complimentary session, my gift to you. In this session I will share with you one of the most powerful techniques I have learnt and shared with hundreds of my private clients to help heal your broken heart and have you instantly feeling better. This is not a quick fix but rather a powerful tool I would like to teach you to help make your journey after a break up a lot less painful and give you the relief you deserve. Take baby steps to move forward and each day acknowledge those steps, be gentle with yourself and allow yourself to feel the emotions that come up for you. If you feel that you are becoming depressed or overly anxious or self -destructive in anyway then please seek the professional help you may need.